Currently possess a driver’s license from another country. Currently possess an Armed Forces License only. What documents do you need to take the course? To take the course, you will need to bring your translated foreign license, proof of address and a form of I.D. What happens after completing this program? 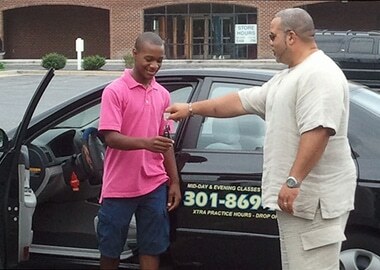 When you have successfully completed the program and you have provided the school with a Maryland Soundex number, the certified Driving School will submit the 3-Hour Alcohol and Drug Education Certificate completion information to the MVA electronically. If you do not have a Maryland Soundex number and you have completed the 3-Hour Alcohol and Drug Education program, a certificate with a control number will be issued to you. Class Schedule: Call (301) 869-9654 for class schedule.